Champagne - Premier Cru or Grand Cru? 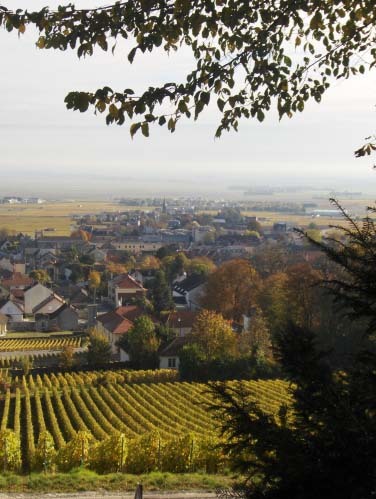 Unlike the Bourgogne, where a municipality can have different quality classifications, in the Champagne region the whole municipality has the same qualification. The municipality with the best “terroir” (group of vineyards sharing the same type of soil and weather conditions) should produce the best grapes, and receives the denomination “grand cru”. Cramant is one of those municipalities. It owes its status to its fantastic layers of chalk. 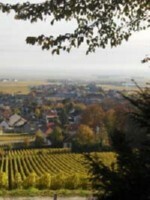 The terroirs which are not the same calibre receive the denomination “premier cru”. Most of the terroirs receive the denomation “cru”. Of the 318 winegrowing municipalities in the classification, only 17 are Grand Cru municipalities: Cramant, Avize, Oiry, Oger, Le Mesnil-sur-Oger, Ambonnay, Bouzy, Louvois, Beaumont-sur-Vesle, Mailly, Verzenay, Verzy, Sillery, Puisieulx, Aÿ, Tours-sur-Marne en Chouilly (only for Chardonnay). Those 17 municipalities are spread over the Montagne de Reims, the Vallée de la Marne and the Côte des Blancs. Although they all have the same classification, Cramant, Avize, Aÿ, Verzenay and Bouzy are the best of their kind. 41 municipalities received a “premier cru” denomination. The denomination is purely based on the soil, the grapes and the weather conditions. The expertise and personal touch of the winemaker will determine the eventual quality of the champagne. A champagne from a grand cru municipality is not necessarily “better” than a champagne from a cru municipality. It all depends on your personal taste. Did you notice that most grand cru municipalities end in “y”?